The Democratic governor of Louisiana and a Republican congressional leader are criticizing Iowa Congressman Steve King for King’s remarks about hurricane victims in their state. King was in Charter Oak for a town hall meeting Thursday and compared victims of Hurricane Katrina in 2005 to Iowans dealing with floodwaters now. 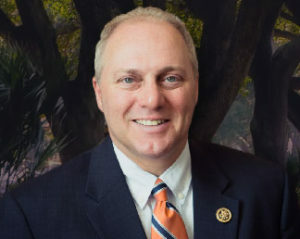 During his remarks in Charter Oak yesterday, King said in 2005 he made four visits to New Orleans to tour the devastation. King toured flood damage in Missouri Valley and Hornick yesterday, promising to work closely with local leaders to help Iowans recover from this disaster. “As the Dean of Iowa’s House delegation, and its only Republican, I will not hesitate to use my influence with President Trump to help Iowans gain access to federal flood relief programs,” King said.